I approached a federal border crossing one last time to bring an end to my Great Canadian Road Trip. I’d enjoyed bouncing between the United States and Canada all summer, but was ready to head south and return to gallons, dollars, and PBR’s. On a rainy New England morning I crossed from New Brunswick back into Maine and began my Nuevo England vagabond. 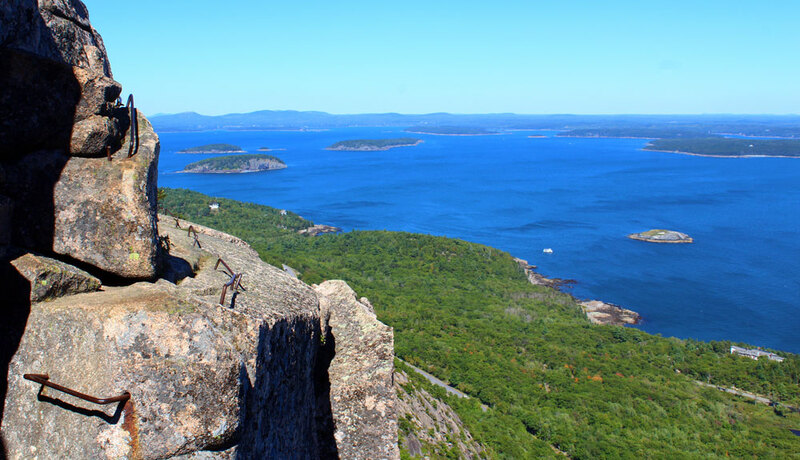 My first stop was Bar Harbor, Maine and Acadia National Park. 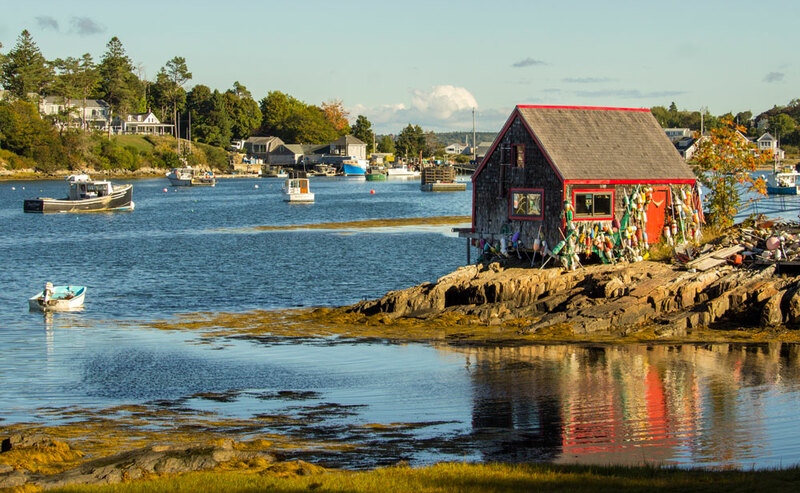 Bar Harbor is a quaint coastal community that seems to double in size each day when cruise ships drop 4,000 khaki clad tourists onto the island. I wedged myself into the corner of a coffee shop and caught up on work, slept on the quit streets near downtown, and explored hikes around the park including Precipice Trail, sometimes referred to the most dangerous trail in the National Park System. 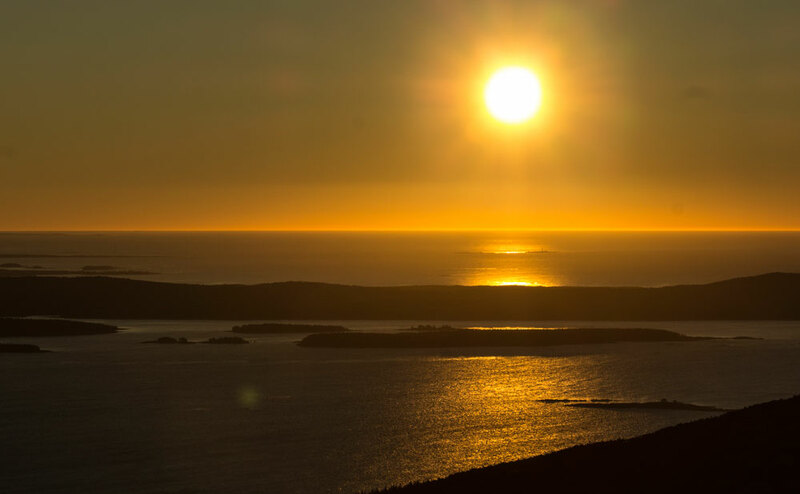 My main goal in Acadia National Park was sitting atop Cadillac Mountain for sunrise. If find yourself here in the dim predawn glow, you, and several hundred other shivering strangers, will be the first people in the United States to see the sunrise that day. Bucket List Item…Check. 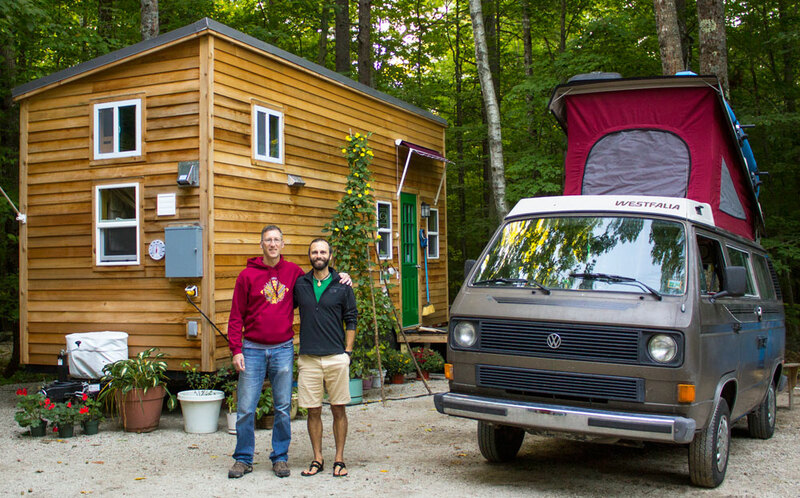 I rambled south to Portland, Maine and met up with my good friend John Rodrigue to see the tiny house he designed for himself. I spent a week in Portland exploring the culinary establishments, breweries, lighthouses, Rotary Clubs, and downtown. I even witnessed a lumberjack competition at a local street fair which was interesting to say the least! From Maine I headed south for a quick tour of New England. I’d hiked through most of these states on the Appalachian Trail but this time I was able to see the coastline. I saw Plymouth Rock, drove to the tip of Cape Cod, checked Rhode Island off my list of states to visit, and made my way to New York City for the first time. In Harlem I parked Tantor and took my beach cruiser out for a tour of Manhattan. It was an incredible rush to be weaving down the busy New York City streets and spinning around Central Park! 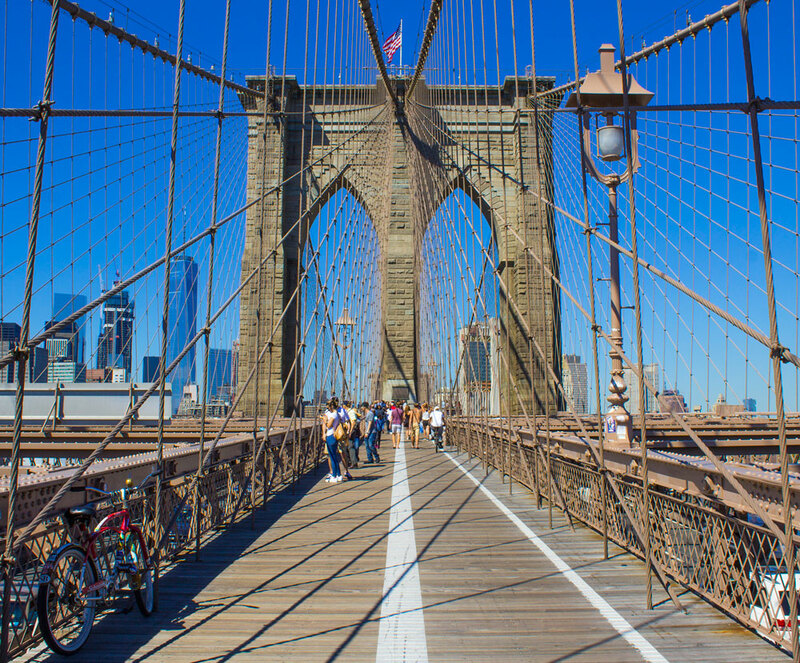 I had beautiful sunshine, saw Lady Liberty, crossed the Brooklyn Bridge, and hit as many main tourist spots as I could before my legs gave out. While rambling down one of the old cobblestone streets the rusted out rear fender struts on my bike snapped and the fender started dragging on my back tire like an emergency brake. I figured that was a sign that the fun was over and rode back to my van to escape the city before rush hour. After NYC I explored Philadelphia and walked down Elferth’s Alley, the oldest residential street in the United States, checked Delaware off my list of states to visit (47 down, 3 to go!) , and drove across the Chesapeake Bay Bridge and Tunnel, one of the craziest experiences of my life. If you are ever near the bridge/tunnel combo you must do it. It is a 22 mile long bridge with two 1 mile tunnels in the middle of the bay. You literally drive along a bridge and then it disappears. You enter a tunnel in the middle of the bay, drive underneath the water and passing cargo ships, and pop back up to do it once more before returning to land. It. Was. Wild. 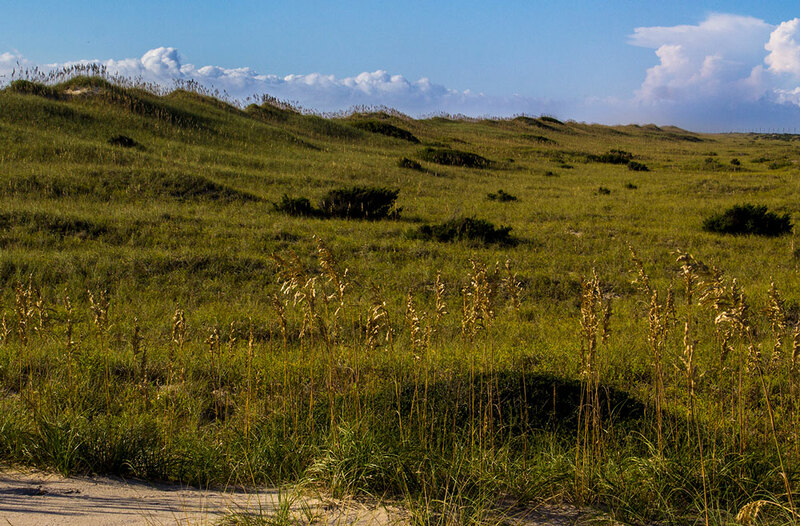 My final stop on my east coast tour was the Outer Banks. I had a beautiful day driving along the bluffs and smelling the ocean breeze. 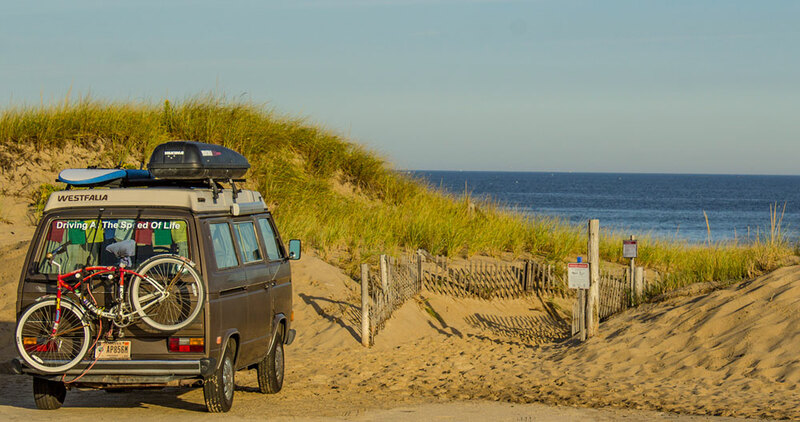 Tantor and I had spent several weeks by the Atlantic and it was time to turn inland and head back where we both feel most at home…the Southwest.